is a charity artbook where more than 60 artists from different parts of the world join to help people in need from Colombia, where people have been suffering from constant rain since September last year. All profits made from this artbook will be donated to the Red Cross of Colombia. 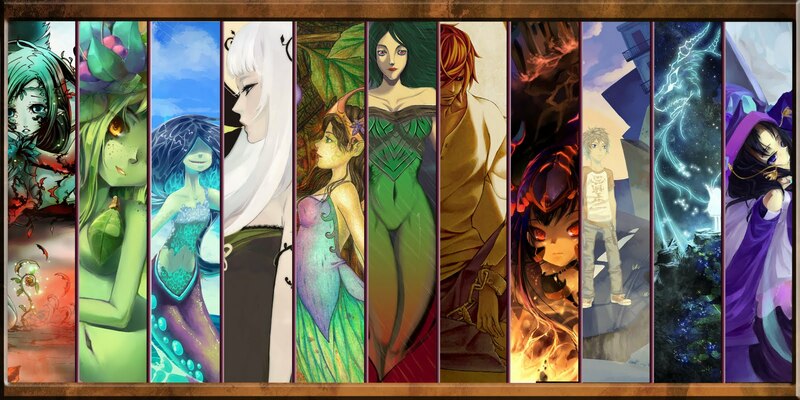 The art pieces are all by extremely famous and talented artists on deviantart. And none of the images have been leaked so it's 70+ pages of never before seen artwork. 100% of the funds we make go to helping Colombia. The artbook will have around 70 full colored pages. This is a fund raiser for one of the Colombia's worst natural disaster in their history due to heavy rain and floods causing three million people have been displaced from their homes. I was shocked at that I did hear more about this natural disaster in Colombia in the news,, It breaks my heart to see the photos is brings back my pain with the natural disaster in Japan not too long ago.. I live in Colombia. It's not as popular as Japan, as you guys may notice, but it has indeed a lot of trouble too. 28 (out of 32) states are flooded because of constant rain since ~september last year, people suffer from hunger and cold, and die buried because of landslides, the government has not enough money and people living in risk zones (like me) can't go anywhere. 3'000.000 people lost their homes and family. The houses and streets near my school disappeared in a landslide last year, so it's very difficult to access there. Now, my classrooms are starting to fall apart. Today, we had to have class in the cafeteria because our classroom's ceiling just fell. I think I make my point clear, don't I? Last week we had no water or internet, and power failed too. Not all the time, but water went away for two days or so, and so did internet, and power failed in the night. Thank you, rain. Why are you doing this cause? 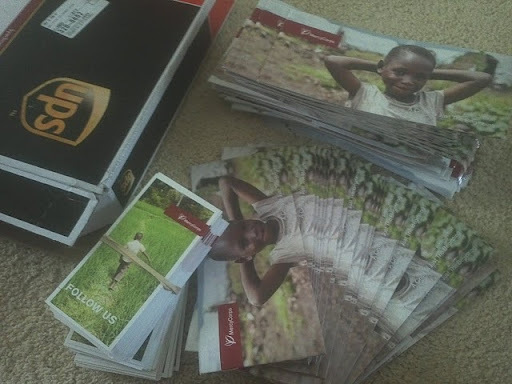 After several email and phone conversations, Mercy Corps is willing to assist me in this fundraiser. They sent me their beautiful brochures and flyers (see below). They also allow me to use their logo. I signed a contract with them saying that for every T-shirt I sold, I would donate $4 to them. Don't get me wrong, I would not keep any money in my pocket. I attached the designs I want to use for the T-shirts. I still have figure out which one to use. But the t-shirt brand I chose is American Apparel, the expense is a little high compare to the normal t-shirt like Gilden. The reason I chose American Apparel is because all their products are made in America. I am doing this project to help the less fortunate communities in the third world, it wouldn't make sense to to use a cheap t-shirt that was manufactured in a sweatshop. So the cost for the T-shirt will be around 10-11 dollars.Minus the expense, all the money would go to Mercy Corps." Whenever I watch the news, I feel like there is always something disastrous happening at every corner of the Earth: conflicts and famines in Africa, earthquake in Haiti, tsunami in Japan... While I could just press on a button and switch channels, those disasters are unpreventable and they are what people are fighting with everyday. Imagine what if this happen to you today? 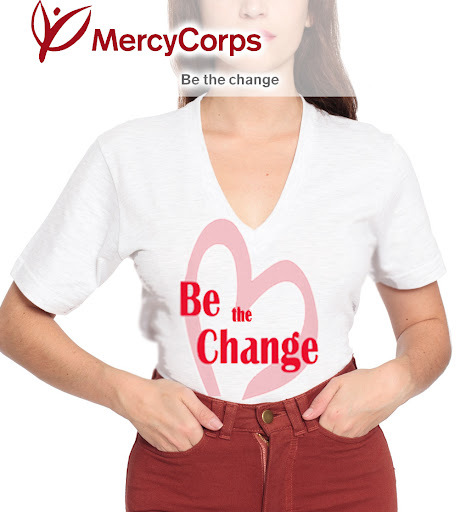 Fobby Barbie Shop is starting a fundraiser for Mercy Corps and helping to provide communities in the world’s toughest places with the tools and support they need to transform their own lives. Fobby Barbie designed a T-shirt in order to raise money for this fundraiser. 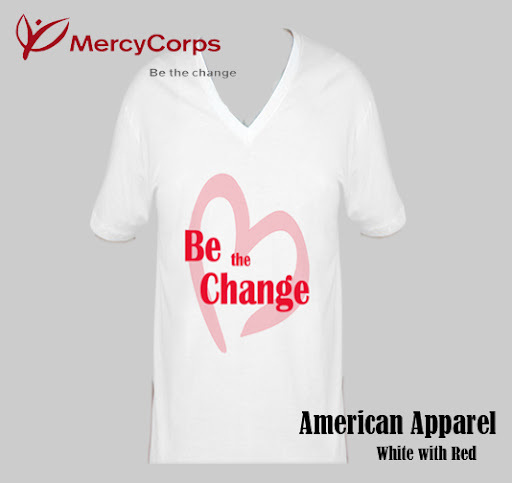 All the money (minus the expense) from the T-shirt sales would go directly to Mercy Corps. It will be unlawful that Fobby Barbie keep any profit from the T-shirts. Come check out our T-shirts! The T-shirt is made from American Apparel's Fine Jersey Short Sleeves V-Neck. It's made in USA. -We would not choose a material that is made in a sweatshop in a third world country. This totally defeats the purpose of having a fundraiser to help them. -This shirt is for $21 at American Apparel stores and online. 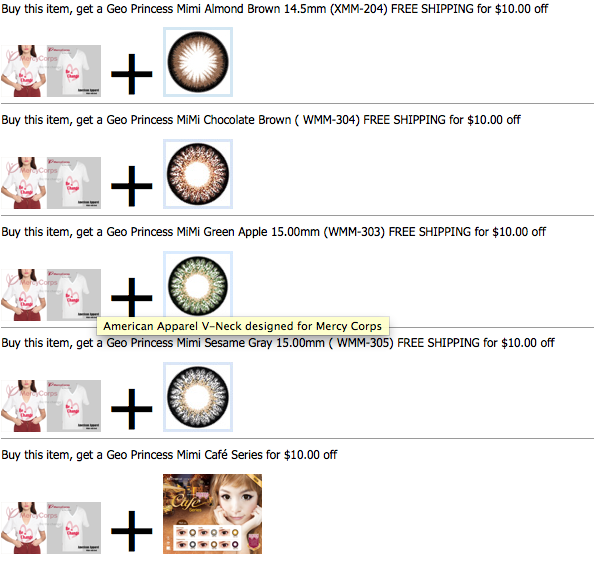 But Fobby Barbie is only selling them for $17.99 with FREE SHIPPING. Plus your money will make the world a better place! Mercy Corps helps people turn the crises they confront into the opportunities they deserve. Driven by local needs, our programs provide communities in the world’s toughest places with the tools and support they need to transform their own lives. Our worldwide team in 36 countries is improving the lives of 19 million people. Thank you so much for sharing these amazing causes ♥ I had heard a little about the Columbian disasters, but it's amazing how much I DIDN'T know & now do from reading this. There is so much more we all as individuals can be doing~ thank you for reminding us & sharing some ideas.